Duration: 12 month graduate traineeship with the prospect of progressing further within Enable Ireland on successful completion of the traineeship. 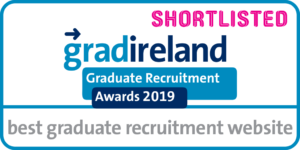 For Purpose is Ireland’s not-for-profit graduate programme. For Purpose connects not-for-profit organisations with talented graduates who are searching ‘for purpose’ in their careers and wish to make an impact on civil society. Graduate trainees on the For Purpose programme receive one-to-one mentoring and support throughout their traineeship. The programme provides you with the skills, support and connections to start your career in the not-for-profit sector and develop your leadership potential! Enable Ireland is seeking to add a motivated and driven National Fundraising Trainee to its team as a part of the For Purpose programme. This role will be based in Enable Ireland’s Head Office in Ballycoolin and will offer the chance to gain an in-depth understanding and experience of fundraising within a not-for-profit organisation. Enable Ireland is a national organisation which provides family support services for people with disabilities and their families, in partnership with the HSE and other State and voluntary agencies. Enable Ireland provides services to children and adults with disabilities and their families from 43 locations in 14 counties. In 2017, a total of 7,461 children and adults received services from Enable Ireland. Enable Ireland’s mission is to work in partnership with those who avail of its services to achieve maximum independence, choice and inclusion in their communities. Enable Ireland focuses on all aspects of an individual’s life, particularly in the context of the community and society and promotes the idea that society and the environment must recognise and accommodate individual needs. Fundraising is a key continued success of Enable Ireland’s service offering. To further develop its fundraising activity, Enable Ireland are seeking to add a National Fundraising Trainee to its team. This traineeship is an excellent opportunity to gain comprehensive understanding and experience of fundraising within a not-for-profit organisation. The Trainee will have a multifaceted role within Enable Ireland, working closely with the Head of Fundraising. Through teamwork and collaboration, the Trainee will play an instrumental part in Enable Ireland’s fundraising activities. The Trainee will provide administrative support to the fundraising team, contribute to the organisation’s fundraising strategy and become an ambassador in information sharing for Enable Ireland at key exhibitions and major events. If your ambition is to work in the not-for profit sector and you combine the above profile in addition to recognising that it will be a continuous learning process, then we would like to hear from you. Closing date for applications is Friday, March 1st. To apply, please send your CV and a cover letter in word format to Michael.Walsh@forpurpose.ie. For more information on For Purpose please see www.forpurpose.ie.